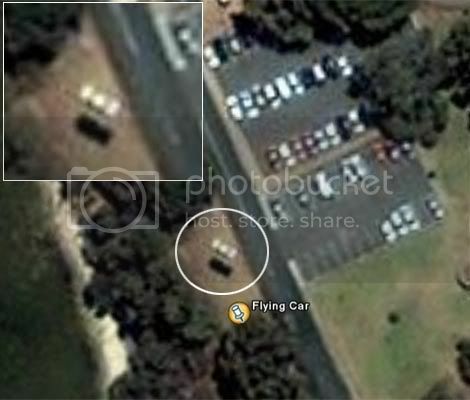 Here's something interesting... eagle eyed users of Google's popular satellite imaging service, Google Earth have spotted what appears to be a car hovering above the ground in a suburban Perth car park. The photo is of a car park just off Honour Avenue at Point Walter in the affluent south western suburb of Bicton. The spot is a popular picnic location on the banks of the Swan River. A number of cars are shown in parking bays and the vehicle in question appears to hovering above the ground nearby, its shadow clearly visible beneath. Photos from that very spot shows that there were no unusual structures there that could explain the phenomenon. Some speculates that the image was an optical illusion and was either a bus shelter, a pergola, a hole in the ground. One said it was obviously "Harry Potter and his friends on vacation". To find out more... click here! Quiet one for me this year... not much of a celebration here in Brissy. Nonetheless... Happy Chinese New Year!!! Ahh.. The Australian Open Finals is just round the corner! It's been interesting so far with unseeded players upsetting the top seeds. The TV stations here are affixated to the Tennis tornament with live coverage in the afternoon and nights. It's quite exciting actually! you have an outfit for every racquet you own. you hold your pencil with an eastern grip. you can name top 100 players but can't remember your kids names. you call the line judge whenever there is an argument. you are sitting on the court right now with a laptop reading this. there are holes in your house because of you hitting balls in the house. you shuffle and side step when moving from place to place. you practice your swing with an imaginary racquet at least 5 times an hour. you hold your racquet when you sleep. Arrghh.. looks like i'll be missing out on the long holidays Chinese New Year celebration this year! Dunno... being here it Brisbane, there doesn't seem to be the atmosphere, maybe it's just me. I guess you dun really feel it when you don't have the ang pows long hols to go with it. Hehehe.. oh well... that's life..! Man Utd 1 - 0 Liverpool, Baybeeeee! Just as Arsenal's 49-game streak without a defeat ended by Man Utd last season, Chelsea's 40-match run was halted in November... so Liverpool's unbeaten run became the latest to bite the dust at Old Trafford. 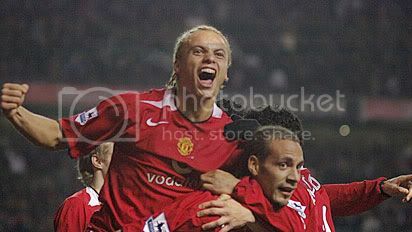 Rio Ferdinand sent Old Trafford into a frenzy when his header on 90 minutes gave Man Utd the win! The goal of the game came from a free-kick yards to the left of the Liverpool box, which was awarded after Steve Finnan was adjudged to have pulled over United's Patrice Evra. As usual, Giggs, took the free kick and curled a delicious free-kick into the centre of the penalty area where Ferdinand rose unmarked to head home from 12 yards - Liverpool goalkeeper Jose Manuel Reina only able to push the ball into the top right corner of the net. muahahaha! So.. Liverpool fans, not so noisy now huh? Yeah yeah.. bring up the Champions' League you won last year... that's old news, mate! Chelsea remain a healthy 14 points clear of Man Utd in the English Premier League despite their rare setback against Charlton. Oh well, there's always next week... or next season. Ahh... got back from the team building activity yesterday and feeling refreshed! It was an excellent trip and too bad it was just for overnight. Anyways... here's something that many of you may find it humourous... pls click on the pic to enlarge. Took sick day today... down with flu. Hopefull, I'll regain my health tomorrow as I'll be heading to the Sunshine Coast... somewhere for team-building activity for 2 days. It'll be fun... I guess... but not when you're not feeling well. Anyways, will see you in 2 days time to tell you all about it. CAN YOU BELIEVE IT?!! Manchester City did the inthinkable and recorded a memorable derby victory against Man United! Before kick-off Manchester City appeared underdogs having picked up only one point from a possible 12 over Christmas and the new year. In contrast to Manchester United, whose excellent form in the Premiership had lifted them into second place in the table. 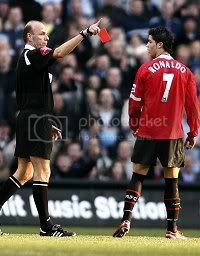 To make matters worst, Cristiano Ronaldo was shown a straight red card by referee following a late challenge on Cole. The ten-man United were handed a lifeline when van Nistelrooy scored in the 76th minute. It was a little too late and Manchester City was the derby winner... 3-1. Saturday nights! Here I am at the driving range trying to occupy my time before the football-watching session in the city. Nope... I am not into golf, just a few friends who would like to get a few swings... The driving range is actually quite nice on Saturdays. Not many ppl, just two or three.. so it was rather relaxing just sitting down there to have a chat and a game of Chor Tai Ti. Whoah! 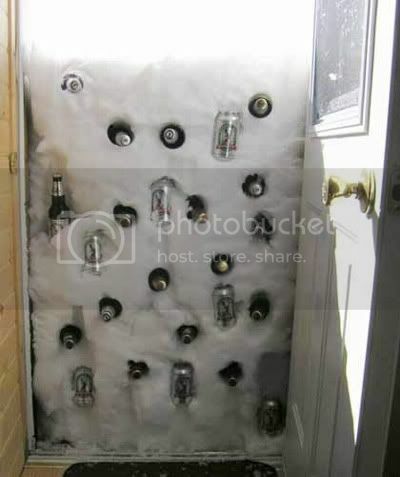 Why do you need to buy a fridge when you can use mother nature..
Yup... you can keep your alcoholic beverages chilled! This is what I call cool. muahahah.. I am still busy at work and thus, the lack of updates on my blog. Anyways, everything should be back to normal by next week! Here's something I haven't been doing for quite a while now... Funny signs! 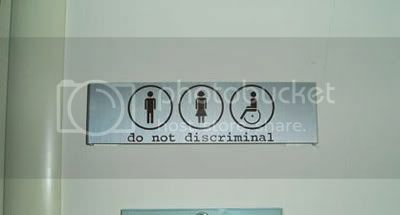 Yup... when you go into the wash room... do not discriminal... whatever that means.. heh heh! Whoah.. it's 10pm here in Brisbane and I am going for a jog.. hahaha.. crazy! Ugh... What an intersting day! Anything and everything that can go wrong at my job, went wrong at the same time... stressed and exahusted! You put both contacts into the same eye. Your mom approves of the person you're dating. Your doctor tells you that you're allergic to chocolate. You have to borrow from your Visa card to pay your Mastercard. Everyone LOVES your driver's licence picture, but you think it looks awful. The health inspector condems your office coffee maker. When the doctor tells you are in fine health... for someone twice your age. Here's the post that I've promised to write for the last 2 days. The day started at 4am on new year's eve. 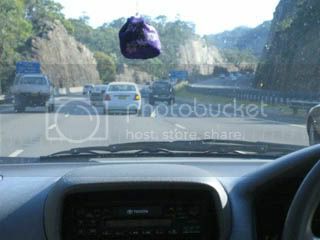 We were driving down to Sydney and rumours about road blocks forced us to leave early. We left Brisbane about 5am and with 3 drivers, each of us took around 4 hours worth of steering time. The drive wasn't too bad. Traffic was surprisingly minimal and after 11 hours and 25 mins of driving, we arrived at Sydney! After checking into our friend's unit, we made our way to China Town for dinner. There wasn't much open and we weren't really feeling hungry. 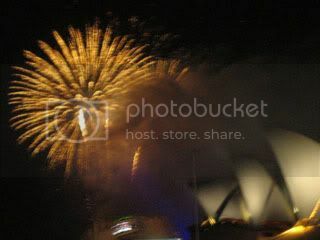 After dinner, we made our way to the Circular Quay to get the best possible spot for the fireworks. Yeah... it was on my to-do list to watch the habour bridge New Year fireworks. The area (as expected) was jammed pack with people. Most of them comfortably sitting down in the grass area with beers on their hand. 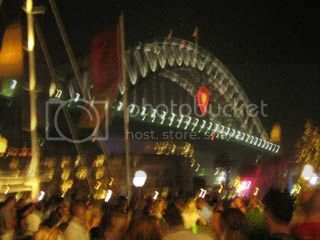 Anyways, we managed to get a relatively good spot by the bridge and with a reasonable view of the opera house. It was already 11:15pm...! After standing for 45 mins, the countdown began! The fireworks lit up the sky as the numerics reach 0. 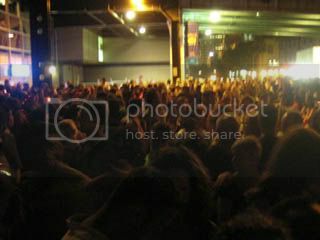 Cheers filled the air as the sound of crackers exploded overhead. 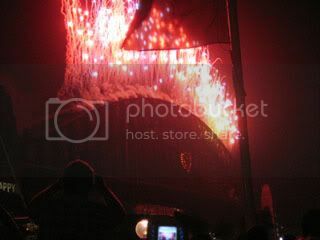 The fireworks went on for 10-15 mins and I must say it is impressive piece of work. It's the most impressive I've seen so far. 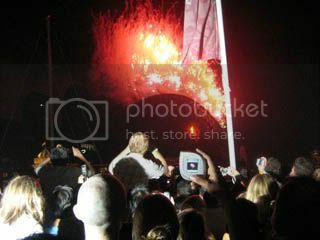 I heard over the news that the cost of the 15 mins of fireworks was AUD$4 mil! Ouch! It doesn't look like it's worth that much. The Hottest Day of My Life! January 1, 2006 was the hottest day of my life. Can you believe it? being brought up in a tropical country, I never experienced anything above 36 degrees... until Sydney, Australia. It was 44 degrees on the first day of 2006... the second hottest day recorded in the history of NSW. 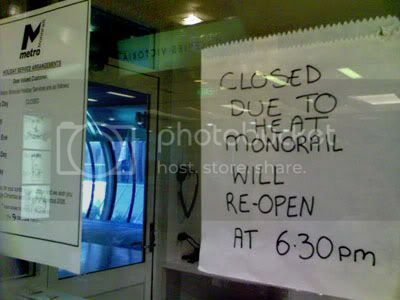 It was so hot that the monorail system had to be halted due to overheating. While walking around the city, I had bottles after bottles of drinks... shops like 7-eleven was packed with ppl and to make things worst, not many shopping centres were open on the 1st. Seriously, air-cond from cafes and fast food never felt better! I'm still trying to find time uploading my pics from the New Year trip to Sydney. HOPEFULLY by tomorrow... still havin' a holiday hangover. Happy New Year...! It's abit late but it's better than never. Was down in Sydney for the last couple of days and didn't manage to get online. Thus, the late new year greeting. 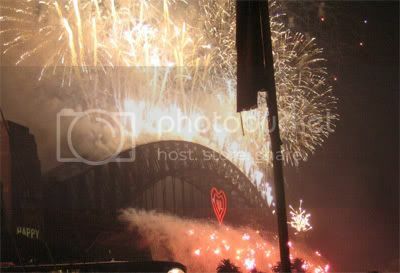 Anyways, I've finally managed to catch the awesome new year fireworks at the habour bridge in Sydney. It was just fantastic! 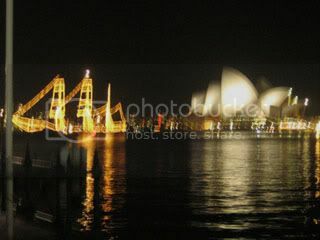 I just got home from the airport and will be updating pics from the Sydney trip hopefully by tomorrow. Australia's Flying Car! Happy Chinese New Year!!! Signs that you play too much tennis What Chinese New Year?! Man Utd 1 - 0 Liverpool, Baybeeeee! 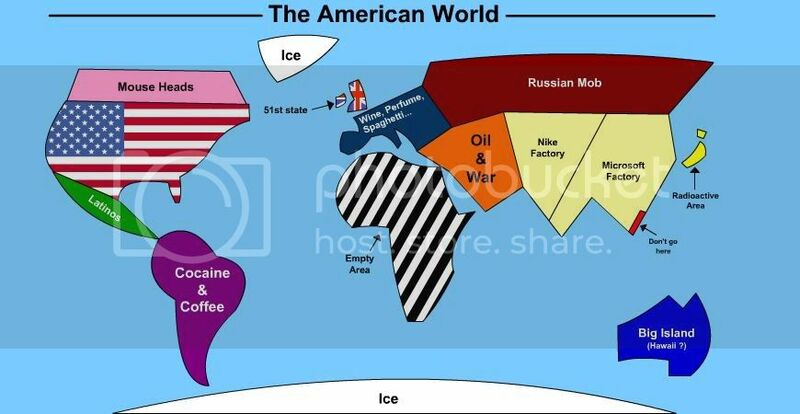 The world as the American sees it... Sick... again! 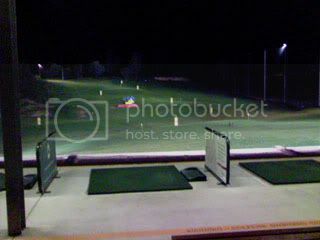 Man Utd losses Derby Saturday night: Driving Range Keeping it cool! Funny Signs: Do Not Discriminal Bad day at work... New Year in Sydney The Hottest Day of My Life! It's 2006! !